Okay, so when was the last time you inserted a cassette tape into a cassette player? It was sometime in the late 90s that I last did this - into my car stereo to be precise - and, as unreliable as they were, it's actually a task that I really miss. 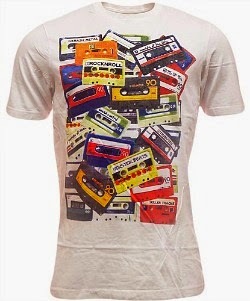 Still, we can still celebrate these long forgotten times by wearing an uber cool retro cassette T-shirt, and there appears to be quite a number of people doing this judging by the number of designs to choose from. 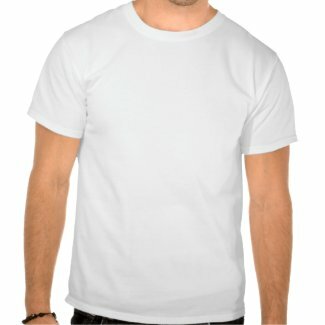 These T-shirts are ideal for wearing at music festivals or retro events/parties, of course, but you can also just do the shopping or mow the lawn in them (or lawns if you're rich) - they're pretty versatile. For this post, I'm going to hand-pick some of the best designs around, and the first tee that caught my eye was the blue one featured here - this also happens to be the most popular cassette T-shirt at Amazon. 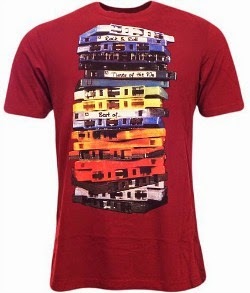 It features a bold, but straightforward design featuring many neat rows of different cassettes (32 in all) and the tee is available in 20 magnificent colours. Actually, not all the colours are magnificent - the green wine gum colour is ghastly - but there's something for everyone, at least. If you like humour then this tee should not disappoint. "What shall we do now?" the cassette asks the floppy disk. The poor guys look like they're about to jump off a cliff together. This one is available at Zazzle for a reasonable £13.95 and is available in a range of colours, although you will be charged another £1.50 these. 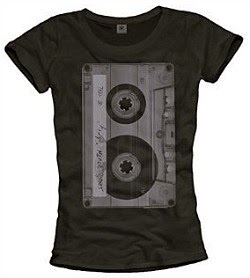 I really like the design of this black T-shirt for ladies which features one of those clear cassettes which became very trendy during the 80s. I spent many an evening in a trance as I sat and watched the tape whirling around the spindles while listening to the Top 30 on radio one, while at the same time scratching my head trying to work out when I should start and release the pause button to edit out the DJ's inane ramblings while trying to record my favourite tunes. Now, this tee is described as vintage which makes me feel mega old. I'm not sure I would describe cassettes as vintage just yet, but each to their own. Anyway, this is a bold, in your face design that would be a useful as a talking point for any potential partner that may come you way at a party, should you be looking for one. If you're not looking for one then it would still make a great talking point amongst your friends. If the militarian rows of tapes in the first tee didn't float your boat, then how about this design? The cassettes are more scattered about, just as they were in my disorganised bedroom back in the day. 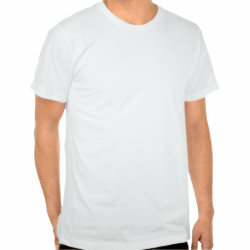 This T-shirt is available in bacl or white, although the sizes are limited from Small to Large, with small not being available while compiling this post. 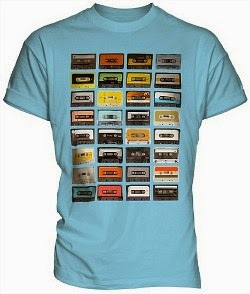 If you prefer, you can also have your cassettes in a stack as shown in the above tee. There are two colour choices - navy or burgundy - and the price is a very reasonable £8.99 as I write, but this is subject to change, of course. 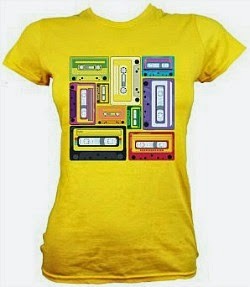 You may prefer the layout of the cassettes on this bright yellow, skinny fit T-shirt for ladies. This is, quite possibly, my favourite design featured here and you'll be pleased to know that other colour choices are available should yellow not be quite to your liking. The tee is available in sizes from 8 to 16 and priced at £14.94 (as I write) it's pretty reasonable, too. No discussion about 80s movies would be complete without mentioning the 1986 action movie Top Gun. The main stars were, of course, Tom Cruise (Maverick) and Kelly McGillis (Charlie). If you're looking for an 80s themed costume idea then a Top Gun costume would make a very decent choice. I'm going to start with the most popular and official choice which is shown above. This is a complete fancy dress outfit which includes the overalls with sewn-on badges and the aviator shades. 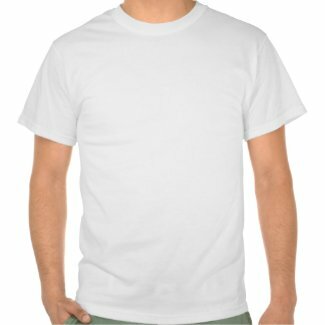 Simply wear a white T-shirt underneath to complete your look. However, you can create a much more cost-effective costume by purchasing some low-cost overalls and a pack of sew-on/iron-on badges. These surplus supply olive green army boiler suits are brand new and unused and ideal for creating a Top Gun costume. You can also add these dog tags and the metal aviator wings pin badge for a more complete look. Please note that the quoted prices are always subject to change. 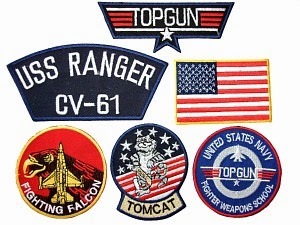 You can see more costume ideas on my Top Gun Fancy Dress page at SimplyEighties.com.